Hi everyone! 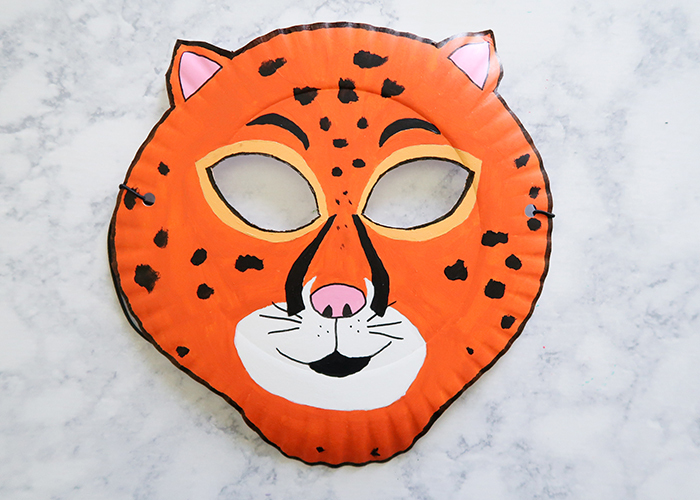 Today I’m going to teach you how to draw and paint this super cute Paper Plate Jaguar Mask! I promise it’s very easy once you break it down into steps. Here’s what you’ll need! 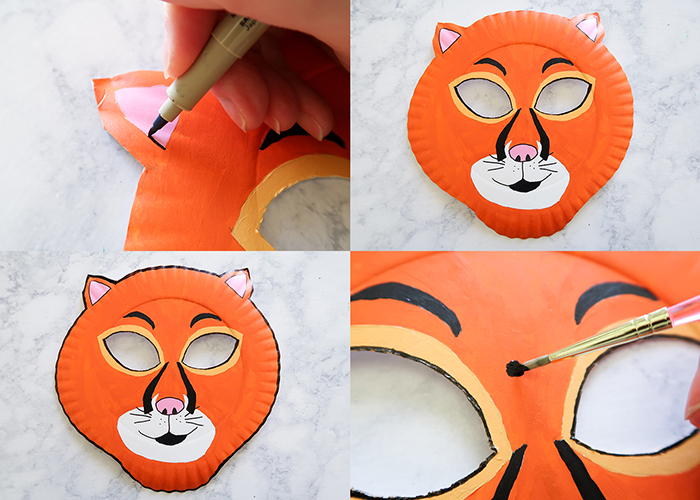 You might also like our printable cat masks, too! 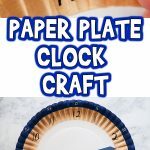 Start by flipping your paper plate upside down. 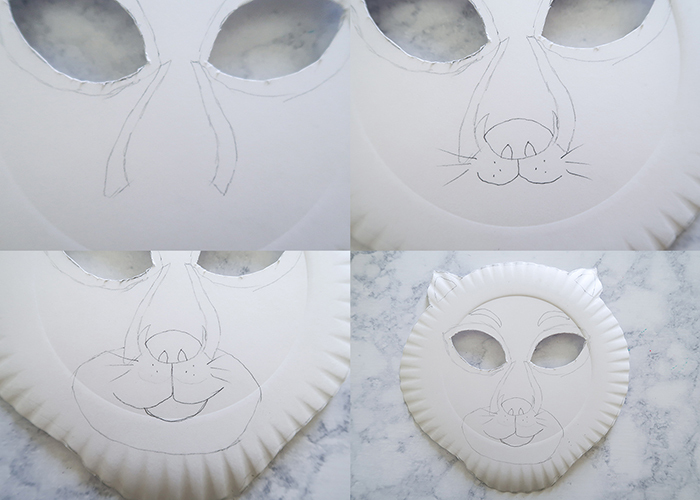 You’re going to sketch a cat head shape on it, as close to the edges as possible. Don’t worry if yours doesn’t look exactly like mine, this is what makes each mask unique to it’s maker! Don’t forget to include ears though. Go ahead and cut out your mask. Now mark where the inner corners and outer corners of the eye holes should be. Make them large and tilted upwards at the outside points. 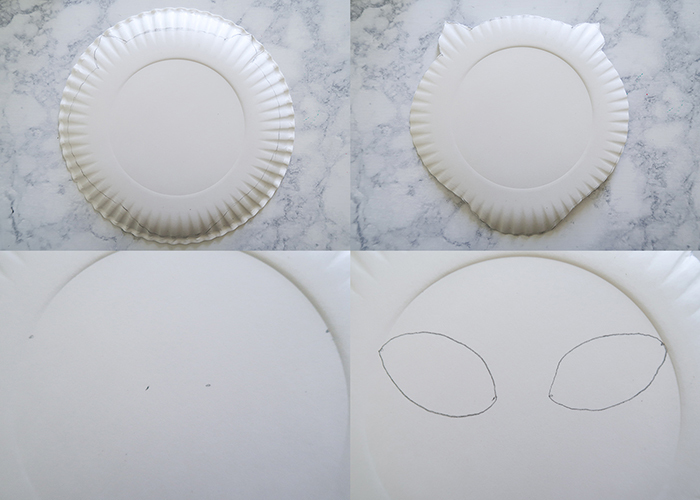 Then connect the dots to fold large almond shaped eye holes. 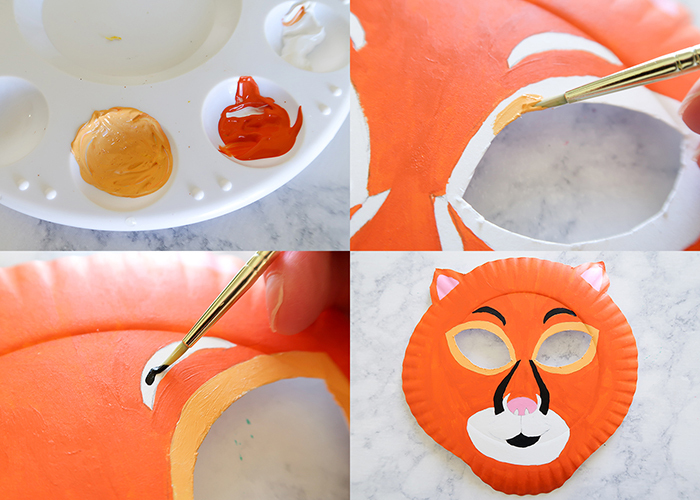 Check to make sure these are placed well on your mask compared to where your eyes are, and then cut them out. Next you’re going to draw in the inside of the ears, an area like this around the eyes, and some small eyebrows. 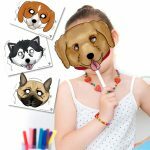 Now we’re going to work on drawing the muzzle. 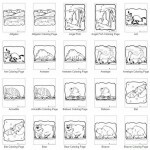 This is the trickiest part of the whole project, so draw lightly in case you decide to erase! From the corner of the eyes, draw two large parenthesis shapes that get wider apart near the bottom. 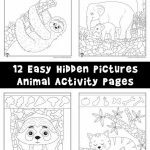 Then draw in a nose and mouth, and whiskers. Draw a circle around the mouth and nose area like shown, and make any adjustments until it looks just right to you. There! The hard part is done! Now it’s time to paint. 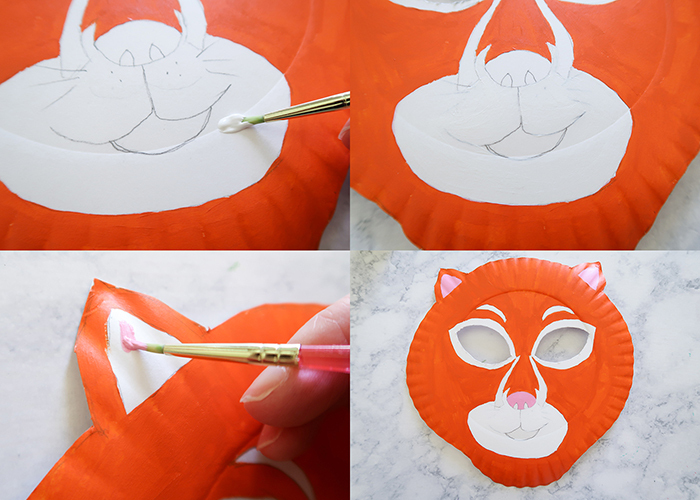 Start by painting most of the mask orange, except for all the detailed areas shown above. Now take your white paint and paint in the circle area we drew, up to the nose. Don’t worry if you paint over the whiskers, we’ll draw those in again later. Next you’ll grab some pink paint and fill in the ears and the nose. 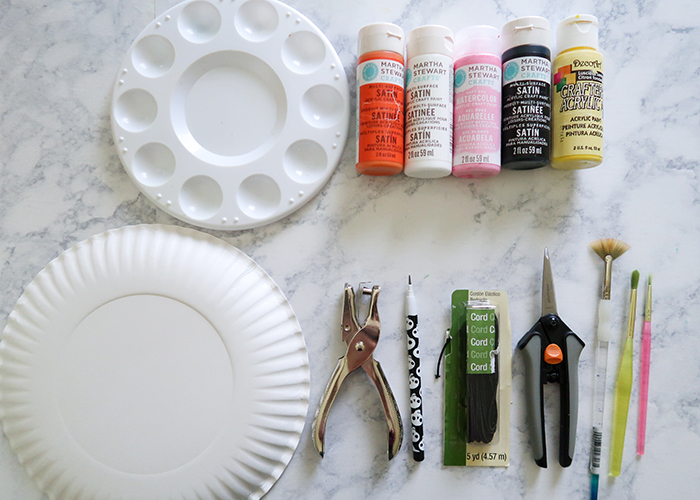 Take your yellow paint, and mix it with white and orange to create a pale mustard color, and paint in the area around the eyes. Then paint the eyebrows, nose folds, and mouth in black. Next take your black marker and outline the ears, inside of the eyes, the mouth, and the whiskers. 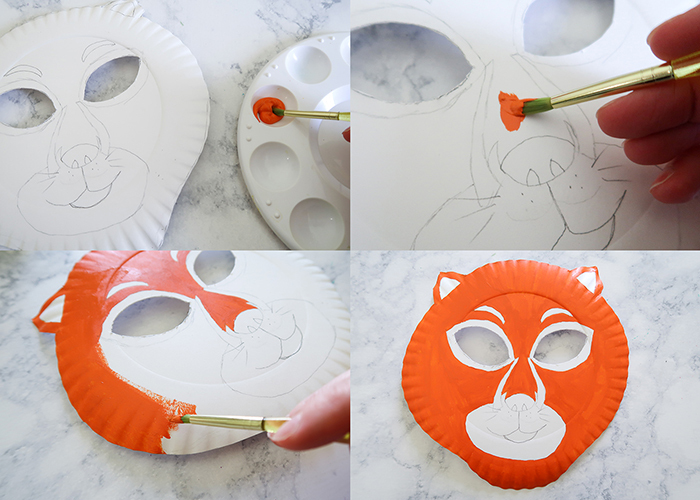 Then make a thin outline all the way around your mask. 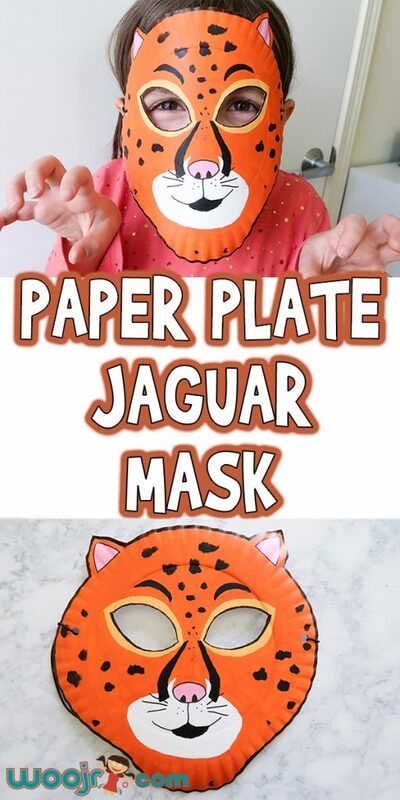 Take your black paint again and start making jaguar spots! I made spots on the nose, forehead, cheeks, and a couple silly ones on the chin. The spots should be super small near the center of the face, and get bigger as you move outwards. Now let your mask dry completely. 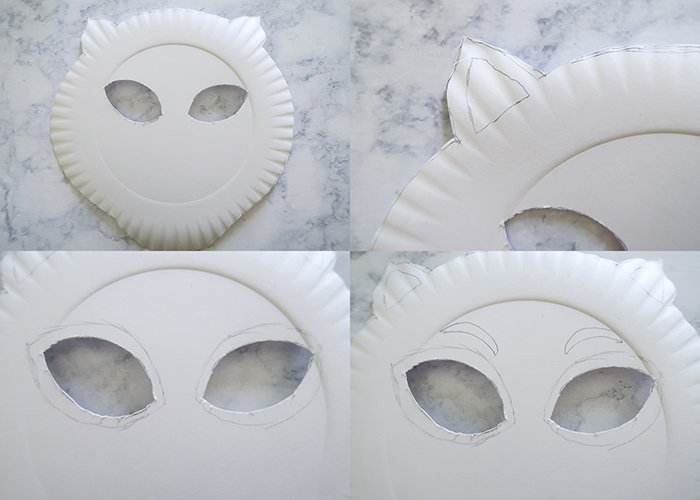 When it’s dry, use a hole punch to punch two holes on either side of the mask. Measure a length of the elastic cord to fit around the child’s head, and tie it onto both sides of the mask. 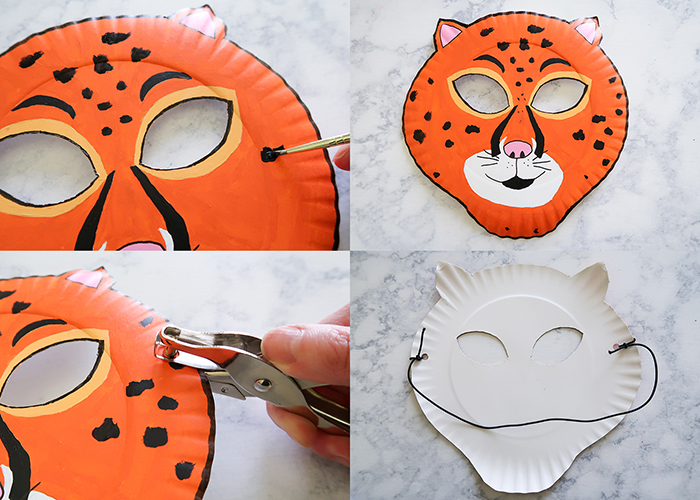 You’re finished with your Paper Plate Jaguar Mask! 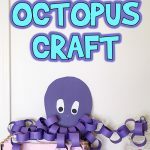 Thanks for following along and learning how to make this today! 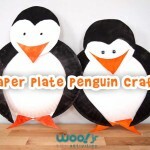 Ages 6-8, Ages 9-12, Animal Crafts, Find by Age, Kid's Crafts, Wearable Crafts	Joanna Brooks	animal, Animal Crafts, animal mask, jaguar, jaguar mask, masks, paper plate, paper plate crafts, wearable crafts.